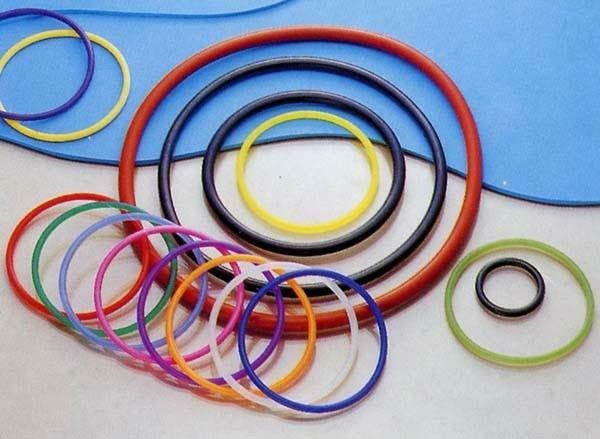 O-Rings & Backup Rings – MSO Seals & Gaskets, Inc.
We can manufacture any o-ring up to 2 meters in diameter fast including NBR, HNBR, Silicone, EPDM, Viton®, Aflas, Teflon® and polyurethane. We carry any size of O-ring. We also have the capability of custom making any size and material. Nitrile (NBR) 70 : The most common elastomer used for indus-trial grade O-rings. Compatible with most mineral based hydrau-lic fluids with a working temperature range from -40°C to 110°C. Nitrile (NBR) 90 : Harder than Nitrile 70 and hence suitable for use as a high pressure O-ring or back up washer. Viton® 75 : Possessing the broadest chemical compatibility of any mainstream elastomer, its broad working temperature range of -35°C to 205°C and excellent mechanical properties make this an excellent high performance compound for use in hydraulic systems. The main purpose f or a back up ring, is to help the seal to refrain from extruding when the seal is under a higher amount of pressure. The back up ring will “back up” the seal you have in place and help the seal to not extrude trough the extrusion gap. Back up can be made from nylon, and nylon filled material, composite, delrin, Teflon® , peek, etc.